AC Milan could suffer a transfer blow as rumoured target Aaron Ramsey is reportedly set to be offered a big pay rise by Arsenal to commit his future. The 27-year-old is set to see his current contract with the Gunners expire at the end of the season, thus leading to speculation over his future. Having continued to play an important role under Unai Emery so far this season, it seems unlikely that Arsenal won’t fight to ensure that the Welshman commits his future to the club, but from January onwards, rivals will be able to discuss a possible move elsewhere with him. According to Calciomercato though, Arsenal are reportedly prepared to offer him a wage increase of up to €7.2m per season, which arguably goes to show how highly they value him. Should Ramsey give the green light to that deal, it could leave Milan disappointed as the report specifically notes the Italian giants as being interested in prising the midfielder away from north London. 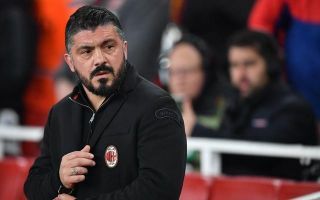 Gennaro Gattuso has continued to rely heavily on his midfield trio of Giacomo Bonaventura, Lucas Biglia and Franck Kessie so far this season, and given Milan are looking to compete on various fronts moving forward, there isn’t enough quality and depth to do so. In turn, moving for Ramsey on a free transfer would make plenty of sense, but time will tell if the financial reward involved in the touted new Arsenal deal is enough to convince the Welsh international to remain with the Premier League giants or if he does indeed hold a preference for a move elsewhere. With Milan chasing a return to the Champions League this season, coupled with Arsenal’s malaise in recent years which has seen them miss out on a place at Europe’s top table too, it could be an intriguing challenge for Ramsey to take on by moving abroad. Given his technical quality and ability in possession, he could suit Serie A’s style of play well.